How to start? Well, I have to say thank you at first, of that I am sure. Thank you to all the wonderful people who took part at this Grundtvig Workshop, who created such a great team, who put all their effort to make it a success and with whom I personally had such a great time. Big thank you Judit, Tiziana, Christina, Phaedra, Aggelikh, Mihai, Maryrose, Simon, Tina, Carmen, Gabriela, Kornelia and Açelya! So what did we do? 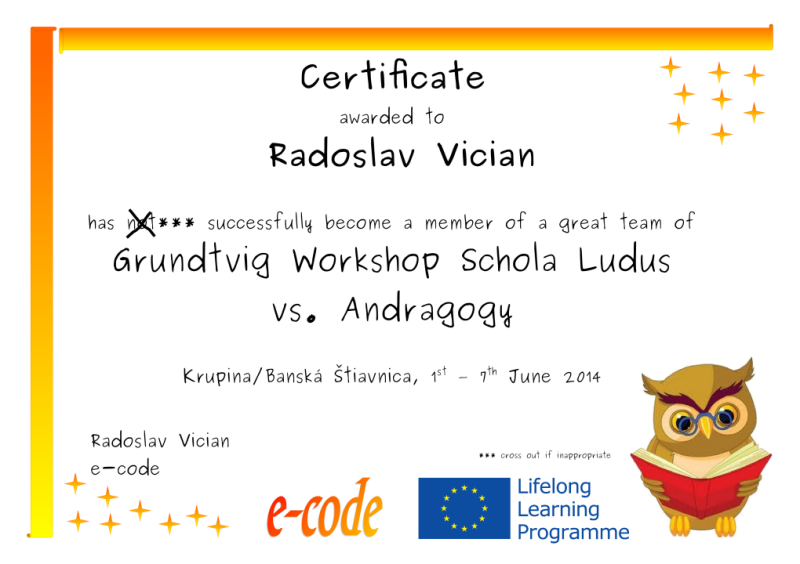 From 1st till 7th June 2014 we gathered in Banská Štiavnica and we were hard working on making our workshop “Schola Ludus vs. Andragogy” a success. We did do some work, actually a lot. 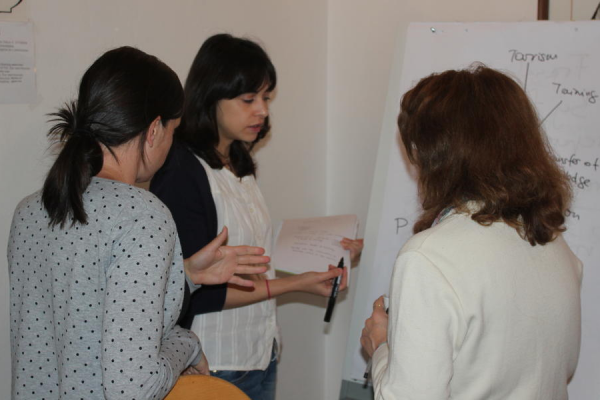 We did talk about learning methodologies for adults and tried to transform them into some new project ideas. We did lots of activities, individual work and team work. And we did have a few surprises, even small ones, but they were they every day. Judging from the feedback of all the participants we were not so bad with all that work after all. A proof – I have created a gallery “Schola Ludus vs. Andragogy In Action” which anyone is welcome to visit. Most of all but, we were working on becoming a team! We spent a lot of time on that as I believe a good team is half the success of any work where people have to interact. Even more so in adult learning. So we were norming, storming and performing and than the whole cycle again. It would not be humble of me to claim proudly that we succeeded but, as a matter of fact, I have a proof of that. A certificate expressing just that very fact (just click on it to see) and, what is more, feedback from the participants. I am very happy about this achievement. What I am most happy about though is that we started some common new project ideas preparation. I really wish we continue with their development and in this way we stay in touch with each other. Working so hard as I claim it, obviously, required some quality rest time as well. Would it not be in fact yet another element of successful adult learning methodology? I reckon yes and that is why we included some surprises and especially visited some tea and chocolate houses where all of us could relax, enjoy (and continue talking about work) and talk about other things than work. 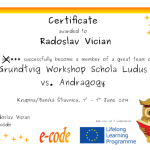 If interested visit a small gallery “Schola Ludus vs. Andragogy Quality Rest Time“. 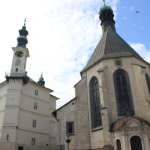 As the workshop being organised in the picturesque UNESCO World Heritage town of Banská Štiavnica it would be a shame if we did not organise some sightseeing. And indeed we did. One surprisingly not drizzly afternoon we went out of our workshop room and enjoyed at least a small part of what Štiavnica has to offer. Trinity Square, Old Castle, New Castle, The Catholic Church of St. Catherine and of course the nice historical streets of the old town. I am so sorry we did not have more time for seeing other nice things but, well, that happens when your main goal is working (not walking). 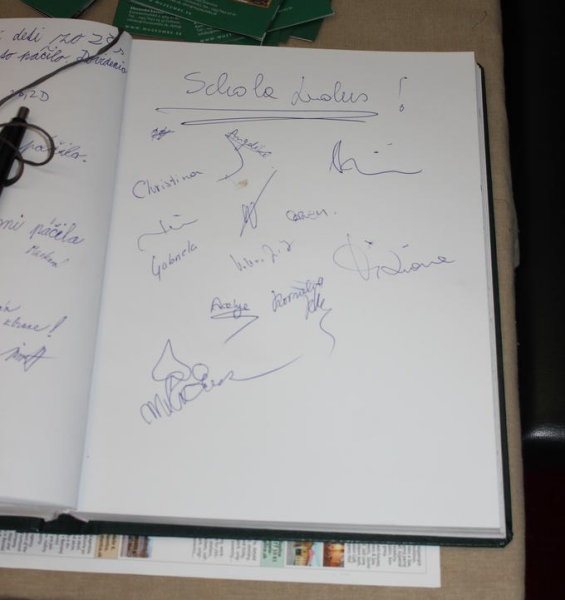 Anyway, you can see what we managed to see at the third gallery “Schola Ludus vs. Andragogy Sightseeing“. Oh, and did I forget to mention we had some nice meals as well? I would like to thank you all for the wonderful time spent together during the workshop. From my point of view, it was a very interesting experience. Please, don’t hesitate to contact me if you are planning to come to Bucharest/Romania. I hope to meet you soon in future projects! I would like to share with Mihai my special thanks to for all the efforts done to ensure us a really pleasant and fruitful experience, and particularly to all of you for having been so great multicultural, multigenerational and transectorial actors of this experience. Please remember you can rely on me as new friend in Italy, anytime you will be traveling in my country. You can find my contact details in my presentation (in the Dropbox folder). I will be also pleased to help you as I can with all your future activities. Regarding this, please do not hesitate to ask me for any kind of support, of course on a friendly basis. Hence, let’s keep in touch! Uvidíme čoskoro čoskoro, Ne vedem în curând, Hamarosan találkozunk, Se vidimo kmalu, ¡Adiós!, Bis bald, Görüşmek üzere, Τα λέμε σύντομα, Ara inti hekk, More soon! thank you 🙂 I had a lot of fun, have learnt a lot and was all in all very satisfied with the workshop. I am also sure we will keep in touch. I would also like to thank for kind and professional organization of the workshop and a great role hosting us in Slovakia. As for the rest of you, I would also like to say thanks for sharing this fruitful experience, it has been really nice to meet you all. Do not hesitate to contact me if you come to Spain or if you think I might be helpful in any way. It was lovely to have met you and the others too 🙂 I really would like us to get to keep in touch and now that I have your email addresses you will be able to receive our newsletters and get to know what we are up to. I want to thank you for your kind invitation for a participant from our association. I know it was a bit hard for Açelya to actively participate in the workshop as this was her first visit in a program in European level. She is one of the active members in our association and she will learn the organization of such programs, trainings and workshops. I hope she did her best in the program. You started somehow with the importance of team formation – and now you can see what have you done! I can assure you, all these thank-you-saying e-mails are not formal ones, and, if you can remember our farewell dinner, it was not a joke, that we were acting like a family. My kids are asking me, what do I smile on… Thank you for this first of all, and many thanks for all of you, for this lovely team formed, for your friendship and for all your promises for the future. Whatever I can, I also will do for you – as consortial partner and as friend too. Here I am sendig a big hug for whom I could not give personally before departure! From my side also a big THANK YOU for your great hospitality and excellent workshop organization! 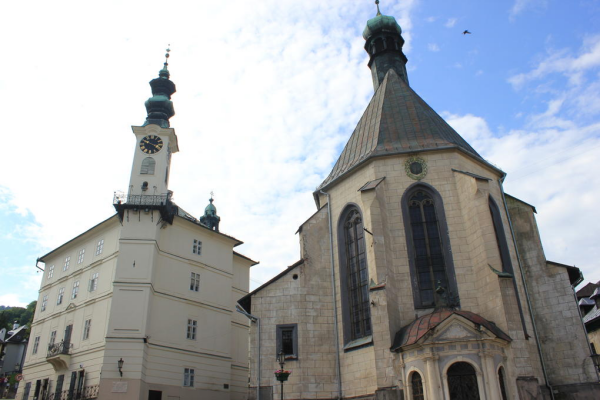 It was so nice meeting you all THANK YOU for the wonderful time shared in Banská Štiavnica. I hope we keep in touch! a warm thank you again for an excellent organizing of the workshop but most important for all the lovely moments we spent together. It’s been a great pleasure for us to meet a reliable partner and above all a good friend. We let our Institution know about our activities and they are really interested in keeping in touch for future cooperation. We hope that we’ll meet again soon. congratulations on the perfect organisation of the workshop and our pleasant stay in Banska! It was a pleasure to meet you all!! 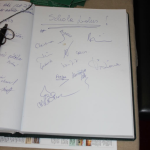 Hope to keep in touch!congratulations on the perfect organisation of the workshop and our pleasant stay in Banska! It was a pleasure to meet you all!! Hope to keep in touch! 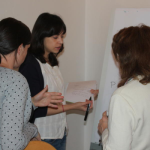 This project is funded by the Grundtvig Workshops action of the Lifelong Learning Programme of the European Union. Thank you Radoslav for the nice blog! Thank you so much for this additional opportunity to stay in touch and share experiences/news, furthermore. Thank you Gabriela, I am glad you liked it and I also do hope in some future opportunities to stay in touch.